Why is it that some people tend to attract great energy while others don’t do so well? I’m able to answer that question better thanks to my experience touring Europe the past month. I got to tour France, England and Spain throughout for most of June. This trip was an eye opener for me. It has given me many new perspectives. There is so much wealth out there: from material things to richness of energy. I was fortunate enough to meet some great individuals who were able to maintain their energy and share their secrets. Although they didn’t identify themselves as empaths, the characteristics they exhibited seemed to indicate they were (sensitive to food and environment, sensing others energies, and drained by others if they didn’t take care). Stacy in England was able to maintain her energy and stay grounded by first starting all her days religiously doing yoga. That helped her ground her energy, emotion, and mind in her body. 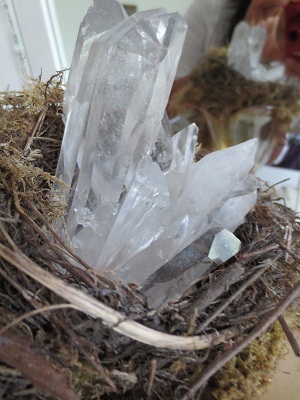 Besides this crucial step for her, she also kept artwork, stones, and tools that constantly cleans her home. As I walked around her beautiful house, located in a small little sweet town, I noticed she kept buddha statues, paintings that seem to emit a blessing energy, and stones and pendants to continuously cleans her place. Of course, she also practices healthy eating habits so that helps a lot. And her two adorable little dogs were a nice addition to helping keep the place light and happy. Honestly if all of us empathic individuals can live like Stacy, adopting her devoted habits of taking care of herself, we can definitely stay more grounded and energized throughout our days. Then we met Emelda from Spain and Daniel from London at Ashram center in Glastonbury, England. We explained how it was a challenge for us to constantly absorb others unwanted energies and emotions. Both of them shared they also lived in places that are also psychically heavy. They believed that since they were able to learn how to sustain their energy in such a places, they could pretty much function almost anywhere. When asked what they practice to keep their energy at such a high vibration, they shared that both practice Qi-Gong and Reiki and it has made all the difference for them. We were curious how they had so much energy even though both did energy work for a living? Both of them explained that they don’t use their own energy. They tap into the divine source and the energy flows from there to not only energizes them but also their clients. Daniel went further to explain that he also uses crystal. And his place is completely filled with them and they help him stay energized. So I asked him, if someone like him didn’t know anything and is constantly being drained by others energy and their environment, what would his one tip for them? There you have it. The answers from three very knowledgible energy aware individuals who are able to stay in charge, energized, grounded, and connected to abundant source energy. This has made all the difference on which way their day goes. Which practice is right for you? I invite you to check out yoga, reiki, or qi-gong (I have) and see which one energizes you the most. 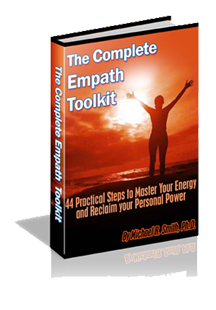 This entry was posted in -Daily Care Tips For Empaths, -Empath Solutions & Tools and tagged how do empaths take care of themselves, how to become a skilled empath, how to keep my energy, how to stay energize, how to stay grounded, keeping your energy, protecting your energy field, qi-gong, reiki, skilled empaths, tips for highly sensitive people, yoga on August 1, 2013 by EmpathSolutions. DISCLAIMER: Always consult with your health professional before trying anything new. Nothing shared on this site is intended to be advice of any kind. Content presented in www.EmpathSolutions.com is based on Faey's opinions and experience and is for entertainment purposes only. www.EmpathSolutions.com is an affiliate with many of the products and businesses mentioned and linked on this site. Copyright © 2010-2018 www.EmpathSolutions.com. All rights reserved.